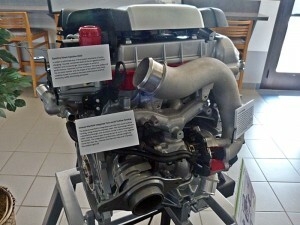 What happened with this 1.6T engine? Every once in a while an engine comes around that’s promising on paper, but underwhelming in reality. It’s looking like the turbocharged 1.6-liter four-cylinder introduced in the 2013 Hyundai Veloster and now available in the 2014 Kia Forte could be such an engine. On paper, the smallish turbo four is good for 201 horsepower at 6,000 rpm and 195 lb-ft of torque all the way from 1,750 rpm to 4,500. In practice, the Kia Forte SX managed only a 7.5-second 0-60 time in Car and Driver’s testing. And that’s with a hard, rubber-shredding launch. Drive the car like you’ll be personally paying to replace the tires and it takes 8.3 seconds to get to 60. With an automatic transmission (a manual isn’t yet available), the 184-horsepower Mazda3 s gets to 60 mph in 7.2 seconds with wheelspin, and 7.6 seconds without it. Even more of a surprise, a Kia Forte with the 173-horsepower base engine and an automatic transmission is also a little quicker than the turbocharged SX, with a 7.4 second 0-60 and an 8.0 second “street start” in Car and Driver’s testing. To be fair, the Forte SX was tested with a manual transmission. Because it requires one fewer shift and is geared better, the automatic should be a few tenths quicker. But this engine needs more than a few tenths to justify its existence. Then there’s fuel economy. The Mazda manages an impressive 27 mpg city, 37 mph highway in the EPA’s tests. (Add another mpg to each with the Technology Package’s capacitor-based regenerative braking system.) My personal experience supported these estimates. The Kia Forte SX doesn’t come close: 21/29. So we’ve got a more complicated engine that isn’t any quicker, while also being far less economical. How does this make sense?